We are all about celebrating (and finishing off) handcrafted cocktails. 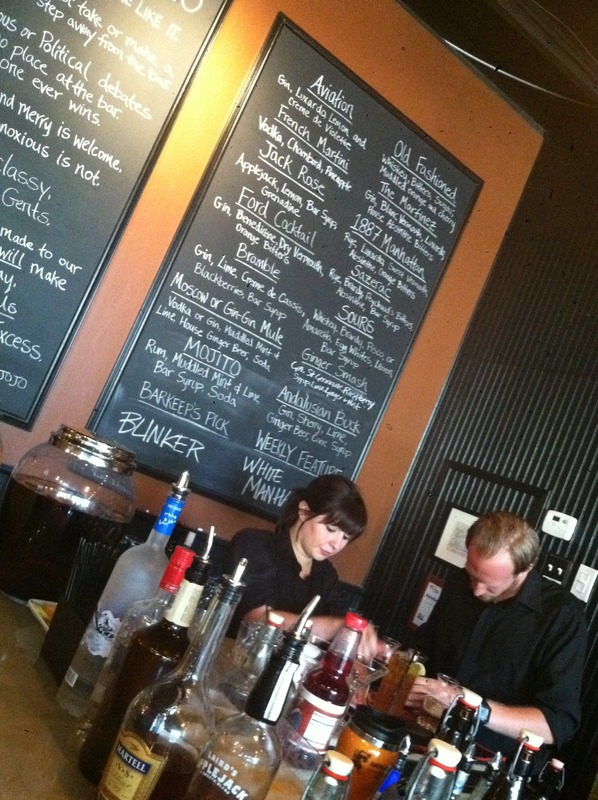 We love discovering those new spots where someone behind the bar has a passion for fresh ingredients, vintage spirits, innovative twists on classics, and new creative libations. Only a few years ago such places in Atlanta were hard to find. Not any more friends! 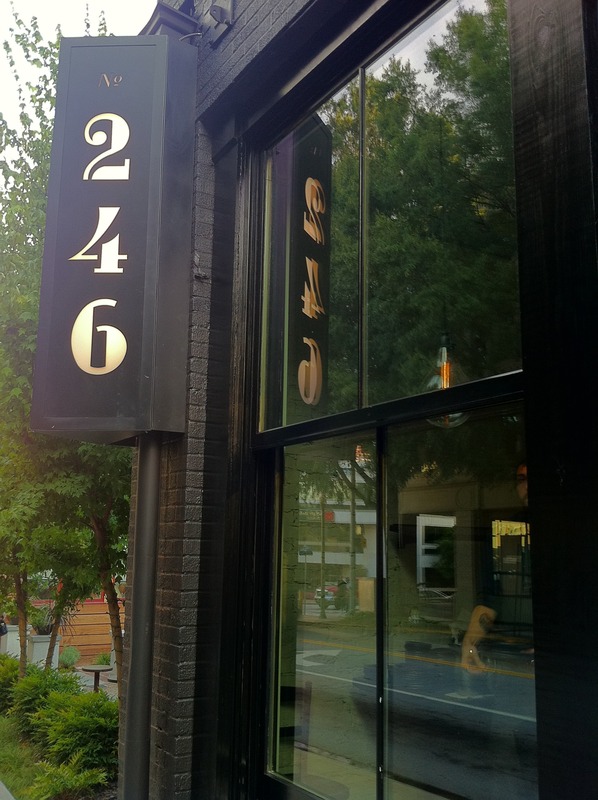 Over the past several years Atlanta has experienced wild growth in bars and restaurants with a focus on such handcrafted treasures. What is exciting to us is the development of several innovative bars all in the same neighborhood, allowing for our dream come true – the long awaited “cocktail crawl.” Imagine neighborhoods that embrace a handful of culinary and cocktail gems all within walking distance of one another! Sure, pub crawls and brews cruises may abound, but an evening of strolling between fine establishments enjoying the best of cutting edge cocktails and vintage libations? It has been a long time coming. And there are so many choices! Our handcrafted cocktail map, which is divided and sorted by neighborhoods is proof of the many option: The Westside, The Old Fourth Ward, Virginia Highlands, Midtown, and more. 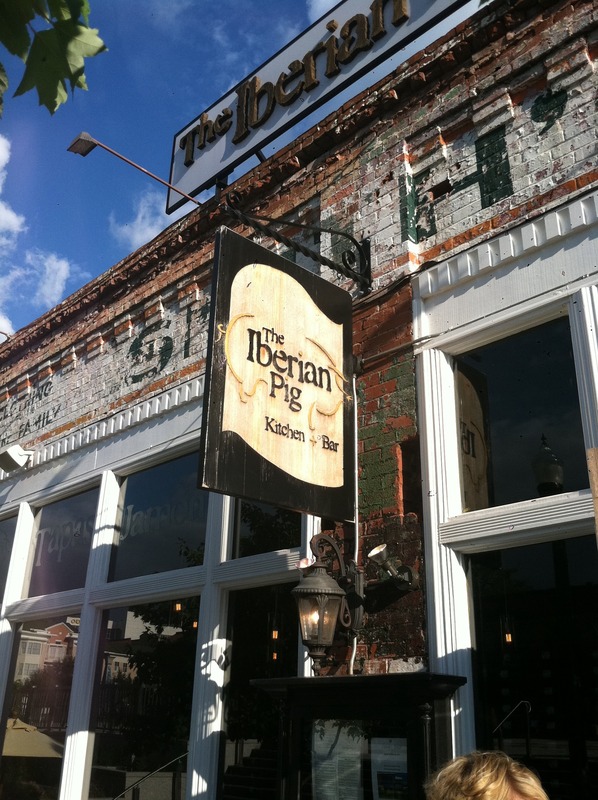 But one of our favorite cocktail neighborhoods is downtown Decatur. The historic district is packed with options making it conducive to a walking or, depending on your stops, a crawling tour. We’ve picked three locations within steps of one another that are “must visits” in our book. Each alone could make for a long, fulfilling evening of fabulous cocktails, creative cuisine, and ambiance to delight, but experienced together will make an evening you won’t soon forget! While we’ve started and ended many evenings here, our last visit had us seated across from barkeep Tyson Bittrich. Tyson and the others who hold court behind the large, traditional wooden bar are extremely knowledgeable and always ready to help you with a classic cocktail or one of their latest creations. Vibe: Think old Spain during Prohibition with tile floors, an abundance of wood paneling, and low lighting from vintage fixtures. The Iberian Old-Fashioned – A classic turned on its ear with bacon-infused rye whiskey with brown sugar, molasses, Angostura bitters, Peychaud’s bitters, orange and lemon twists. Aviation – A vintage favorite combining gin, Luxardo maraschino liqueur, Creme de Violette, and fresh lemon juice. Gin-Gin Mule – The house-made ginger beer shines when combined with gin, fresh lime, and mint. We are always intrigued by and oddly attracted to any cocktail that requires a waiver. The New York Robusto Manhattan follows the basic recipe of a Manhattan by combining bourbon, vermouth, bitters, but the final product is anything but basic. The secret to this off-menu cocktail lies first in the combination of two house-infused bourbons. Bourbon number one is a Robusto cigar infused bourbon (requiring the release form) and bourbon number two is a Smoke Shop bourbon with hints of citrus, vanilla, spice and orange. 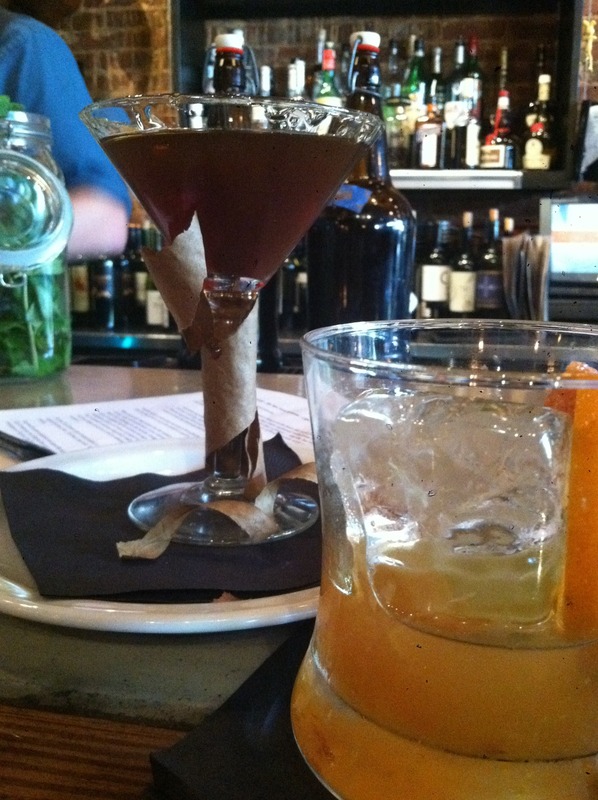 The combination of the bourbons pairs nicely with the vermouth of choice, Punt e Mes. 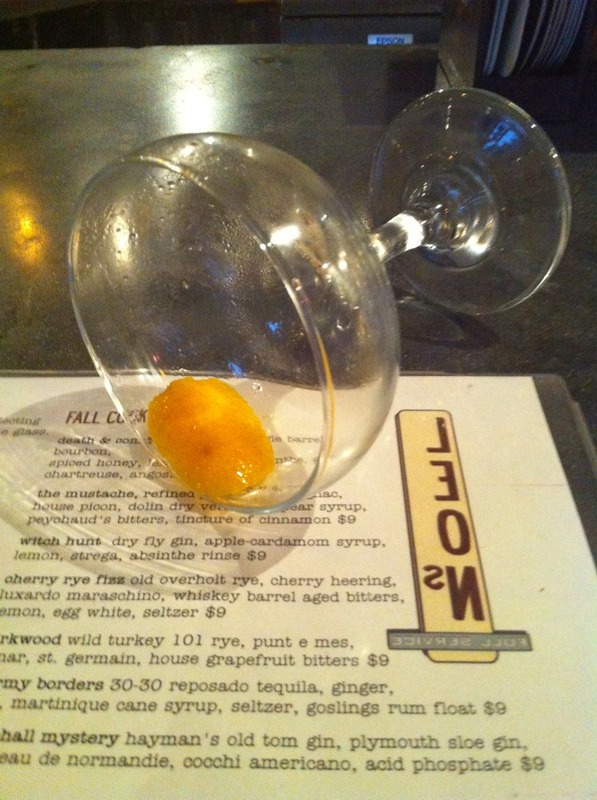 Final touches include orange, Angustura bitters, and organic lavender honey around the rim of the glass. This unusual cocktail is as much an experience as it is a nice libation. Strips of the cigar’s top leaf wrapper wind up around the stem of the glass for a nice touch and aroma. It is all about the pig here, so design your own charcuteria plate. Select several meats such as Salchicho, Chorizo, Serrano, Jamon Iberico and more. Then add cheese! We highly suggest the Manchego, Mahon, Idiazabal, and Valdeon. Grazing as you imbibe is always an excellent choice. The incomparable Miles Maquarrie is found behind the bar in one of our all time favorite cocktail stops. 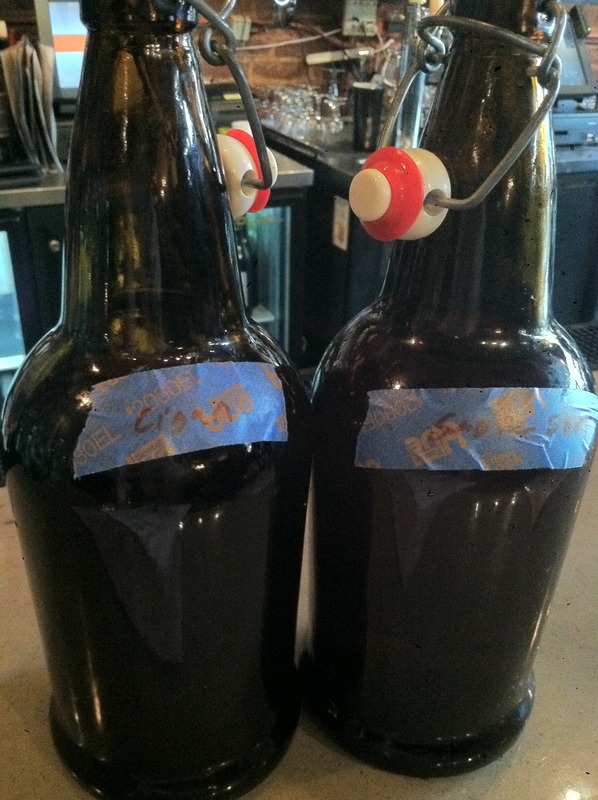 Miles is not only winner of this year’s cocktail mix-off at the Attack of the Killer Tomato Fest and Peach Jam ’11, but he has also has been written up and mentioned in several national publications including Imbibe magazine. Not only that, he’s a darn nice guy. Think hipster converted garage without the attitude. 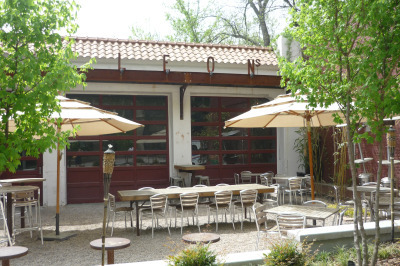 In the cooler months, the old garage bay doors are opened and the party spills out onto the patio and bocce ball court. There aren’t many better ways to while away an evening. The Smith & Wesson – A perfectly balanced blend of Redemption rye, Carpano Antica vermouth, Smith & Cross navy rum, Aperol, and Bitterman’s mole. We don’t say this very often, but pretty much anything Miles makes is amazing. If the place isn’t crowded, ask him to run wild and surprise you. You won’t be disappointed. Try pub frites and a couple of awesome dipping sauces, such as the masaman curry, goat cheese fondue, Leon’s BBQ, or the cucumber-dill yogurt. There are about a dozen sauces available, so there’s something for everyone. 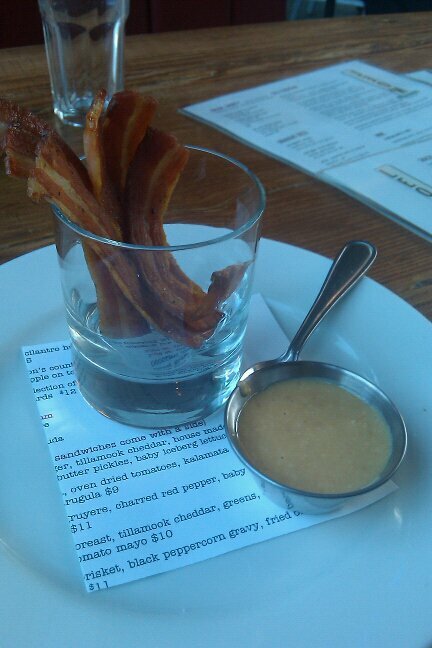 Or, go with our favorite snack when at Leon’s…bacon in a glass with a side of house-made peanut butter for dipping. Seriously. Thick slices of bacon served in a glass. What’s not to love? 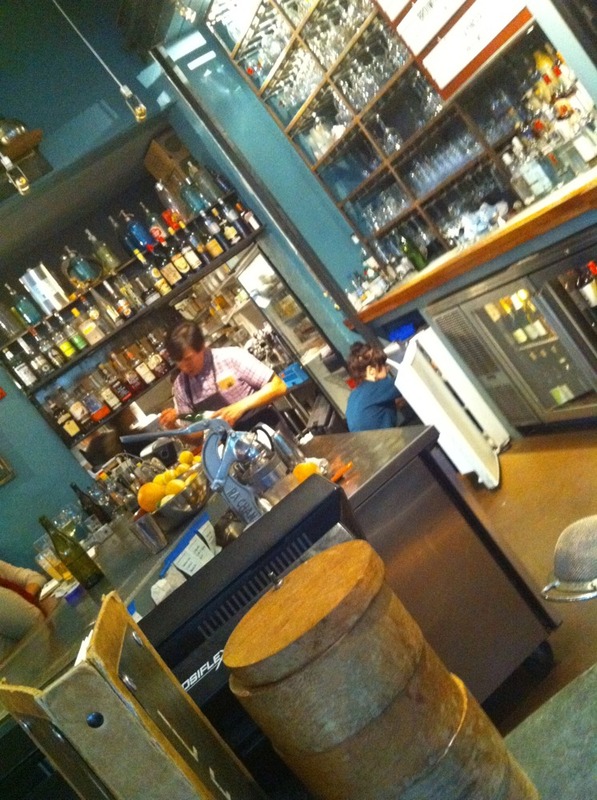 Lara Creasy oversees libations at No. 246. She presents guests with non-traditional takes on vintage cocktails that feature traditional Italian liqueurs such as vermouths, amoros, aperitivos, and digestivos. 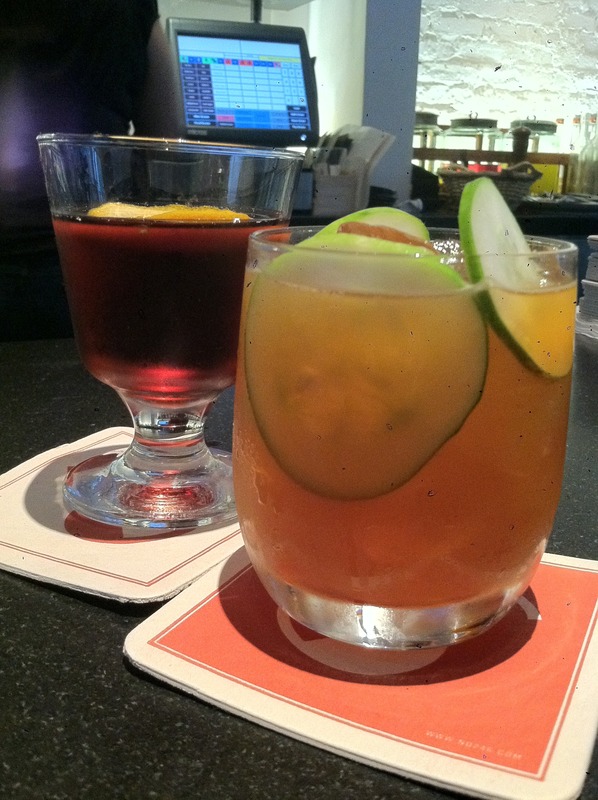 These are blended with local produce, seasonal fruits, and house-made mixers that result in perfectly blended signature cocktails and vintage treats. Vibe: Think modern Italian trattoria. The ambiance is relaxed, but they maintain an understated elegance. The Saffy Darling – A savory delight combining saffron-orange infused gin, Strega, muddled mint, Pellegrino Aranciata, and crushed ice. The Old Pal – Old Overholt Rye, Campari, Punt e Mes are combine for a non-traditional take on a Negroni. Didn’t have the opportunity to go off-menu, but we are looking forward to enjoying a traditional Negroni here very soon. Nothing says Italy like a Negroni. Molto bene! Try a sampling of “toasts” with a wide array of Italian toppings like wood oven roasted figs, vinegar, almonds and basil, house-made ricotta, Ken’s preserved local chantrelles, or parsley and lemon. Or, if by this point you need a little more, don’t miss out on one of the chef’s pasta dishes or specialty pizzas. 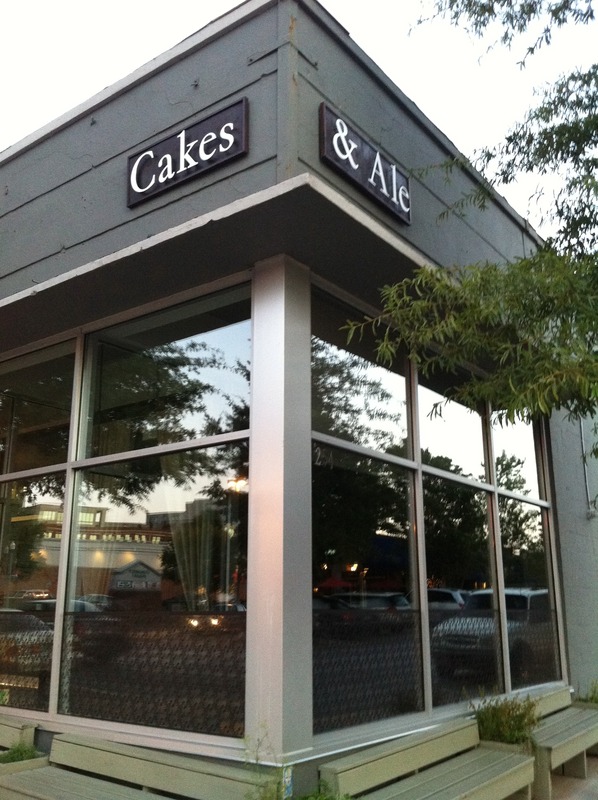 If you want to start the evening a bit earlier and try to work four spots into your “crawl,” consider stopping by another favorite place, Cakes & Ale. Ask to try My Favorite Mechanic Is A Woman. It’s a nice blend of bourbon, limoncello, lemon juice, egg white, and Luxardo cherries. Great way to start your evening! Need more ideas on Atlanta? Check out www.giltcity.com for secret places and exclusive happenings!